Yahoo! has launched the new Yahoo! 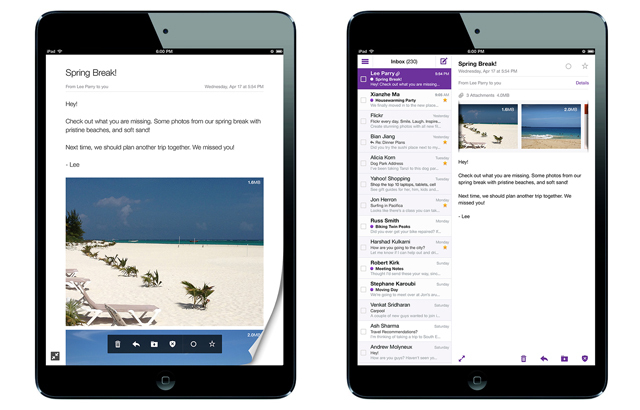 Mail app for iPad and Android tablets. In a blog post on their corporate blog, Lee Parry, the senior director of Mobile & Emerging Products at Yahoo! goes into detail about the new app. One point he makes is about the minimalistic approach in the apps: no folders, buttons or tabs are involved in the interface. Your mail can be navigated in a magazine style, like Flipboard and Zite, the news reading apps. The video gives an idea of the inner workings of the Mail app, showing how you can manage contacts, emails and attachements including pictures. Everything looks very fluid and simple. The side inbox view is reminiscent of the Gmail email app for the iPad, which is a pleasure to use. If the Yahoo! 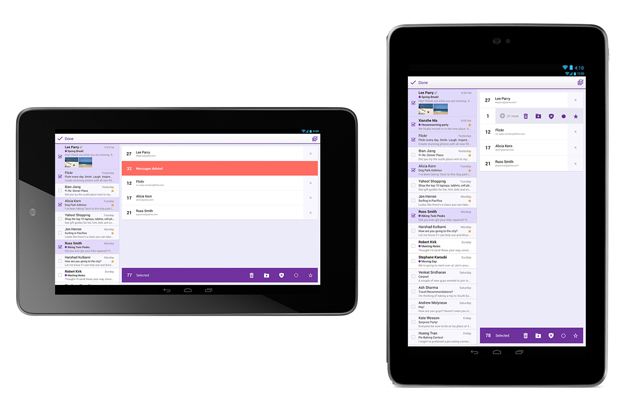 Mail app is even better than that, then Yahoo! Mail users are in for a treat. We figured you probably didn’t need those expired coupons anyway. If this works as described, it’ll save the people who will use it regularly from inbox overload, depending on their daily email pressure. I wonder whether the sentence quoted says something about the average Yahoo! Mail user: do they get a lot of coupons in their email? Who knows. 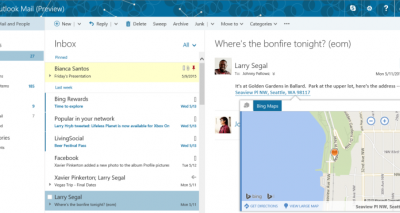 If you have a lot of unread messages in your Yahoo! 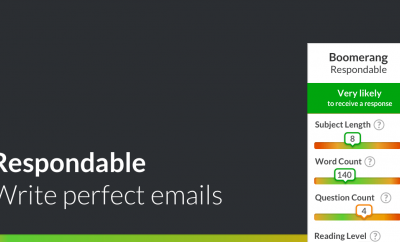 Mail inbox, now might be the time to do something about it: the new app seems to be just the thing for cleaning up inboxes. You can download the app for iPad here, and the app for Android tablets here.